Climb the trees and slide across high wires, crawl through tunnels, cross rope bridges, walk the planks and zip down to the ground! Come and enjoy a new challenge with some new friends. This is the most spread out course by far – it takes us 10 minutes to patrol it on a bike. 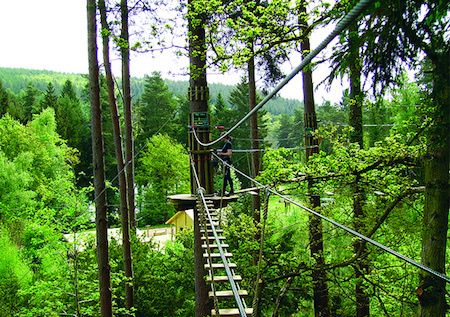 Long zip wires, super views of Lake Linmere and its wildlife make this a really interesting trek through the treetops. Go Ape is an award-winning high wire forest adventure course of rope bridges, Tarzan Swings and zip slides up to 40 feet up in the trees. Appealing to a wide age range, you'll be fitted with a climbing harness, given instructions, and then trek from tree to tree high above the forest floor. Delamere Forest Park is a shady oasis in the midst of the agricultural landscape of the Cheshire Plain and Cheshire's largest area of woodland. Small Tortoiseshell butterfly, Greater Spotted woodpecker, White Faced Darter dragonfly, Green woodpecker, Siskin and Southern Hawker dragonfly. The cost includes entrance to Delamere Forest, your Go Ape experience, and all Social Circle fees. Wear loose clothing & trainers.